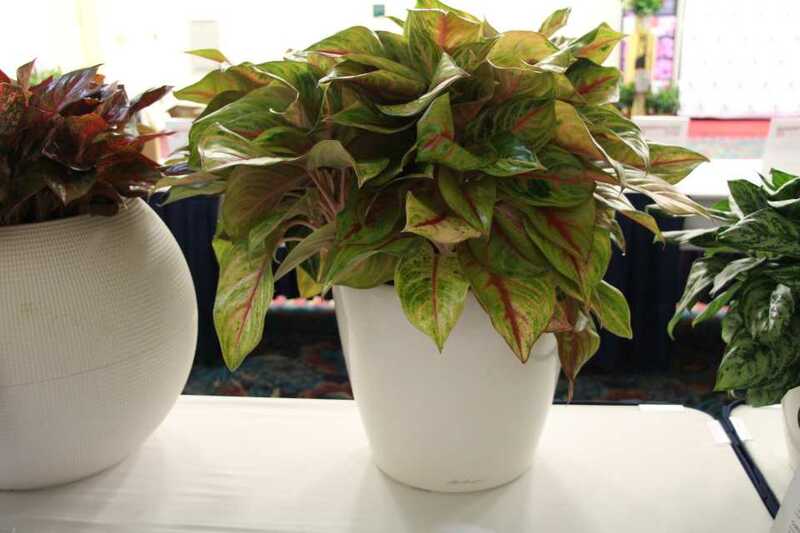 The Tropical Plant International Expo (TPIE), held Jan. 16-18 in Ft. Lauderdale, FL, is one of the best places to get a sneak preview of some of the newest foliage and tropical plant introductions. This year was no exception, with more than 20 entries of new plants that will soon be available on the market displayed in the Exhibitor Showcase. Growers and suppliers at the show say the tropical and foliage plant market is booming right now, thanks to increased interest by Millennials and others attracted by the plants’ design merits, as well as their mental health benefits and air-purifying properties. Sales are up for indoor plants, as well as for use in landscaping in warmer areas. There were some exciting, first-of-their-kind introductions at the show, including Suntory Flowers‘ ‘Mitebuster Red’ Mandevilla, an upright, shrub variety that is resistant to mites, and Anthura’s Anthurium andreanum ‘Livium,’ with its striped blooms. Cascading Phalaenopsis orchids were also trending at the show. With their unique look, they made for an eye-catching bloom when mixed with foliage plants in high-end arrangements. Scan the photo gallery above for plants featured in the Exhibitor Showcase at TPIE 2019.